Interval International, one of the world’s leading timeshare exchange companies, has just added another luxury timeshare property to its network. Marriott’s Waikoloa Ocean Club, a newly-opened property on Hawaii’s Big Island, will now provide its incoming owners with an included Interval membership. Existing Interval International members will also be able to explore exchange options at the property. Marriott’s Waikoloa Ocean Club incorporates 112 units close to Waikoloa Beach. The new resort is located next to Marriott’s existing Waikoloa property, Waikoloa Beach Marriott Resort & Spa. The Ocean Club features lagoon-style swimming pools, a waterslide, beach access, fitness facilities, and much more. One- and two-bedroom suites comprise the property, and offer modern furnishings and in-room features to create a comfortable stay. Guests can also take advantage of the amenities at the Waikoloa Beach Resort as well. The Waikoloa Beach area features a plethora of things to do and see, including two championship golf courses, shopping, dining, live entertainment, water sports, and more. The King’s Trail coastal pathway leads visitors through fish ponds and lava pools, while other areas nearby boast active volcanoes and black sand beaches. 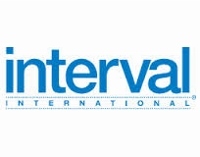 For more information on Marriott’s Waikoloa Ocean Club or their new affiliation with Interval International, read the company’s press release.